From #1 Bestselling author Morgan Rice comes the debut of a dazzling new fantasy series. 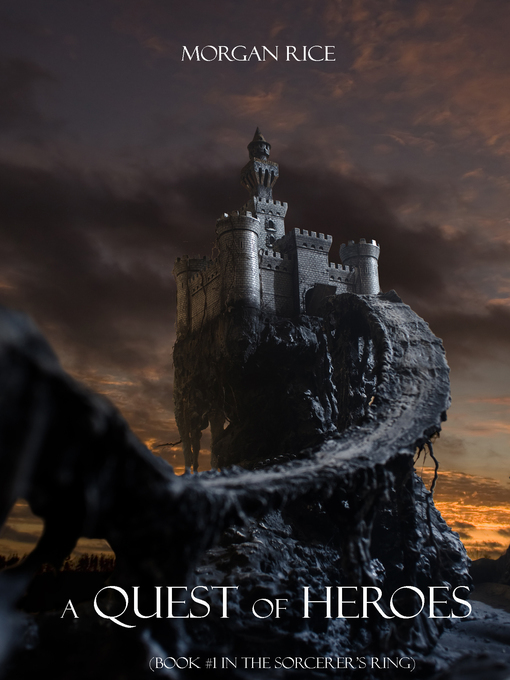 A QUEST OF HEROES (BOOK #1 IN THE SORCERER'S RING) revolves around the epic coming of age story of one special boy, a 14 year old from a small village on the outskirts of the Kingdom of the Ring. The youngest of four, the least favorite of his father, hated by his brothers, Thorgrin senses he is different from the others. He dreams of becoming a great warrior, of joining the King's men and protecting the Ring from the hordes of creatures on the other side of the Canyon. When he comes of age and is forbidden by his father to try out for the King's Legion, he refuses to take no for an answer: he journeys out on his own, determined to force his way into King's Court and be taken seriously. But King's Court is rife with its own family dramas, power struggles, ambitions, jealousy, violence and betrayal. King MacGil must choose an heir from amongst his children, and the ancient Dynasty Sword, the source of all their power, still sits untouched, waiting for the chosen one to arrive. Thorgrin arrives as an outsider and battles to be accepted, and to join the King's Legion. Thorgrin comes to learn he has mysterious powers he does not understand, that he has a special gift, and a special destiny. Against all odds he falls in love with the king's daughter, and as their forbidden relationship blossoms, he discovers he has powerful rivals. As he struggles to make sense of his powers, the king's sorcerer takes him under his wing and tells him of a mother he never knew, in a land far away, beyond the Canyon, beyond even the land of the Dragons. Books #2—#17 in the series are now also available! "Action-packed .... Rice's writing is solid and the premise intriguing." "A spirited fantasy ....Only the beginning of what promises to be an epic young adult series."